Is network marketing a business? Now, what should I say network marketing is? Is it a business or a scam? If you have been thinking about whether network marketing is either a business or a scam, this is a good read for you! Both may be right but what should we say now? Is network marketing a business or a scam? 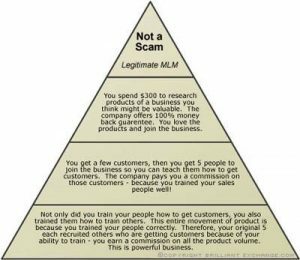 Network marketing isn’t a pyramid scheme. 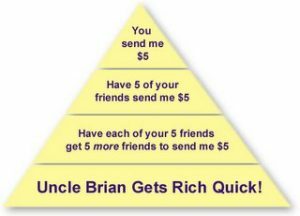 Pyramids are programs similar to chain letters where people just invest money based on the promise that other people will put in money that will filtrate back to them and somehow, they’ll get rich. A pyramid is strictly a money game and has no basis in real commerce. Normally, there’s no product involved at all, just money changing hands. Modern-day pyramids may have a product, but it’s clearly there just to disguise the money game. 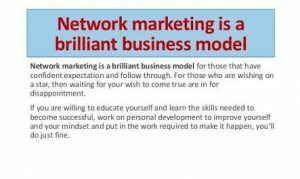 Network marketing is a legitimate business. It’s based on providing people with real, legitimate products they need and want at a fair price. 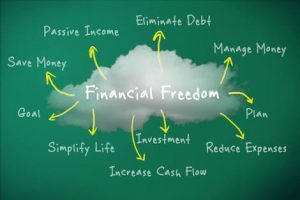 While some people do make a lot of money through network marketing, their financial benefit is always the result of their own dedicated efforts in building an organization that sells real products and services. Wikipedia describes network marketing as a marketing strategy for the sale of products or services where the revenue of the MLM company is derived from a non-salaried workforce (also called participants, and variously known as “salespeople”, “distributors”, “consultants”, “promoters”, “independent business owners”, etc. Network marketing depends on you to build a team of others who work the business with you. CLICK HERE TO READ WHAT IS NAIJA MARKETING PRO MASTERMIND GROUP AND HOW TO JOIN US. Every time your team players makes a sale, you receive a portion of the money. You also receive a portion of the money from the items you sell. When done in the right way professionally, it is a highly money spinning option, especially when your team players are productive. Most of the people building a network marketing business in a certain way do so in an organized method. They work a few dedicated hours each week, with each hour of effort serving as a building block for their long-term business growth. Then they sponsor other people and teach those people how to sell the company product and sponsor others who duplicate the process. By helping the people you personally sponsor to sponsor others, you duplicate yourself. As this process continues, you create compound growth that can lead to hundreds or even thousands of people coming into your business. What I love most about the network marketing industry is that you can start your own business for less than NGN10,000, and sometimes much less. With network marketing, there are no big capital requirements, and no geographical limitations or barriers. Network marketing is a people-to-people business that can significantly expand your circle of friends. It’s a business that enables you to travel and have fun as well as enjoy the lifestyle that extra income can provide. When people start hearing network marketing, either they raise their eyebrows and move away from you or they start shaking their heads in utter disgust. But these people are jaded by the fact that the system of network marketing is not a scam, but a system that is genuine and trustworthy. Network marketers are people engaged in Mlm network marketing who offer you the chance to invest a reasonably small amount of money on products and services that you can sell over to another person for their consumption. Most products and services are easily consumed in a short period of time. So how can this be a scam when the money you invested gives you a return through products and services? Now, the revenue that should come from those products and services is upon your shoulders. If you do it right, then you get a return of your investments from such Mlm opportunity and make this a home-based business. If you have been finding it hard to build your own network marketing business, you’d be smart to join the Naijamarketingpro mastermind group. 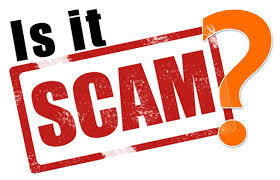 It only becomes a so-called scam for other people because they fail to build their own business in the right way professionally, sell those products and services and generate revenue from it. Thus, there is nothing wrong with the system of Mlm network marketing. The problem lies with the people who engage in the business and do not have enough capacity or skill to run the business. Network marketing is simply the vehicle to live a life of choice, a life of influence, a life to financial freedom. It is not extorting money from another person, as people always think it is. NEED PERSONAL COACHING OR HIRE AOC TO SPEAK AT YOUR EVENTS. CLICK HERE. « SIMPLE WAYS TO USE TWITTER TO BUILD YOUR NETWORK MARKETING BUSINESS.